This Website was established to introduce the local salons and spas to potential clients. We have created a local search engine for local salon and spa businesses to advertise their services and products to you. We have created web ads and mini websites for each of our members to illustrate and promote their services and products to you. Whether you need your hair done, makeup or makeover, a manicure, pedicure, waxing, tanning, ear piercing, or if your'e just looking relax with a soothing massage or spa, our members will make you look and feel reborn, rejuvenated, and re-energized physically, mentally, and spiritually. A Message board to post your questions, tips, suggestions, comments etc. We invite you to join our network of salons and spas today and take advantage of our introductory rates. We are in the process of creating the largest network of businesses ever assembled over the internet and as we grow so will our value. We live in age of health and wellness with people living longer lives and spending more time and money maintaining their appearance and well-being. Let these salons and spas help you to enjoy yourself and for others to take notice of the new you. The Holidays are here now and what better way can you show that you care about the ones you love than to give them the gift of health and beauty. A gift certificate, a gift card, coupon, or a pre-purchased package make for great gifts this holiday season. We invite you to be selfish as well and treat yourself to these great salons and spas. Mention TheSalonandSpaWeb.com to let your favorites know that you noticed their internet presence and in some cases receive additional discounts and gifts. 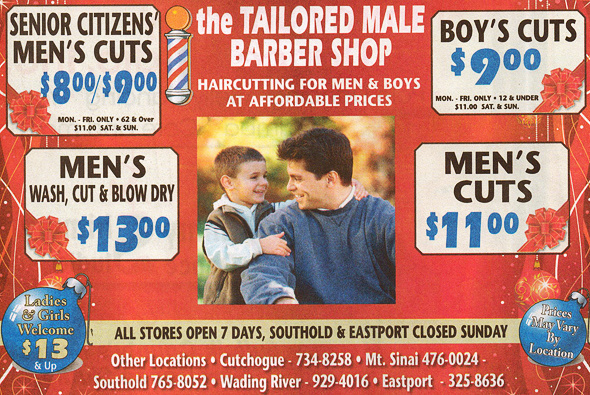 TheSalonandSpaWeb.com is an affiliate of The Long Island Web.